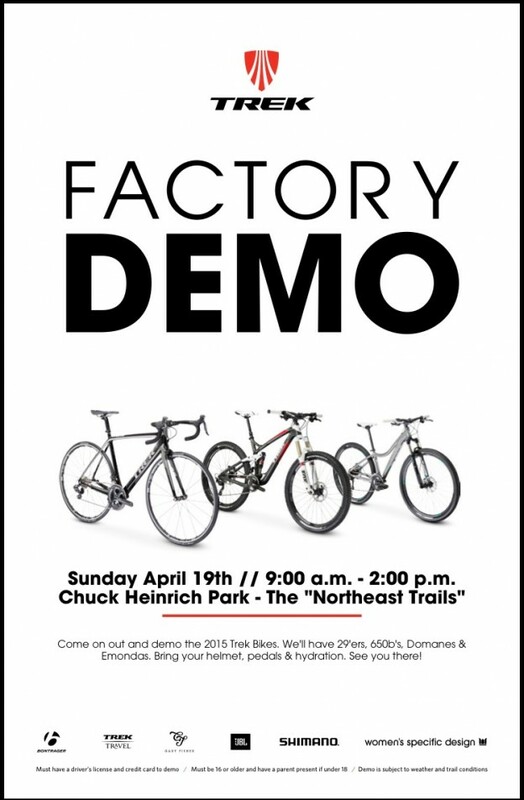 Trek El Paso | TREK DEMO – YOUR DREAM BIKE AWAITS! TREK DEMO – YOUR DREAM BIKE AWAITS! Let’s get you on a bike that you’ll fall in love with. You’ve been looking for a new bike for the season and this Sunday is your chance to take full advantage of these upgrades. A full range of mountain bikes and road bikes will be at Chuck Heinrich park so make sure you bring helmet, pedals, and hydration and meet us at 9:00am.